Ari Friedlaender, associate researcher at University of California Santa Cruz, always knew he wanted to be a scientist. He became an ecologist and has visited the Antarctic region every year for the past 20 years to research marine mammal. 2016 was no exception. 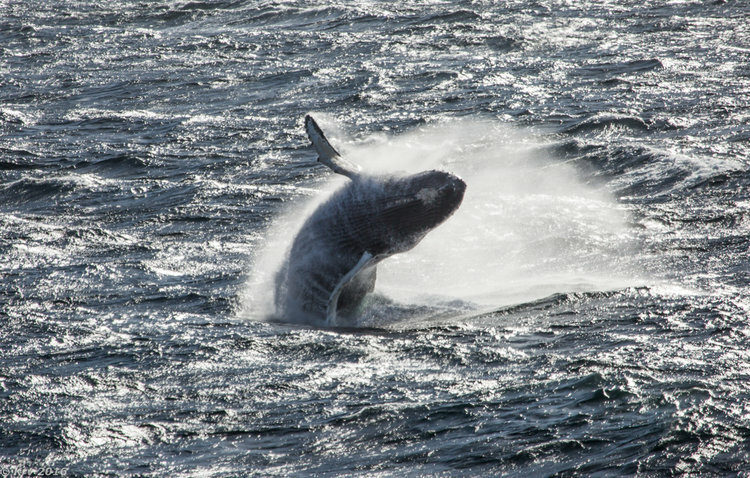 He and David W. Johnston of Duke University went together to study the movement patterns and foraging behaviours of the largest krill predators - humpback whales. This project was conducted as part of a grant from the Antarctic Wildlife Research Fund (AWR). Their research may provide crucial insight into how climate change could impact the region’s fragile ecosystem. Friedlaender explains that humpback whales live in open water, and their habitat space is expanding. However, the situation is entirely the opposite for tiny krill. Humpback whales need high densities of krill, which are also an important food source for the penguins and the seals. So far, Friedlander and Johnston’s findings show that whales seek areas with the most krill available. The challenge, however, is that krill fisheries are also attracted to these same areas. A fishery can efficiently scoop up all the krill in an area, practices that are far from sustainable and can negatively impact the whole ecosystem. In order to study whales, scientists attach electronic tags to the animals. Depending on the type of tag, scientists can monitor whales from several days to many months. Throughout his career, Friedlaender has helped develop this type of tag technology to better understand the underwater movements and behaviors of marine mammals. In addition to electronic tags, he uses drones to take pictures of whales on the surface. Pictures of whales serve another purpose as well. Friedlaender and his fellow scientists use social media to increase awareness and understanding of the whales, the krill and the ecosystem in the Antarctic Peninsula.